Look, I’m not going to tell you that the adorable and wonderfully realistic little flying elephant isn’t a technical marvel. And yes, you will probably cry. But where Jon Favreau’s The Jungle Book had an exciting, entertaining story to go along with its beautiful visuals, and Beauty and The Beast had the classic songs, Dumbo basically has an outdated story that does nothing new or particularly interesting. Look at this cute baby elephant with the big ears! Wow, he can fly! Show me how he flies! He’s not flying! Wait a minute, now he’s flying! Repeat roughly 4 times and roll credits. Perhaps I’m exaggerating a bit, but after a truly fantastic trailer, I really had my hopes up for Tim Burton’s take on this classic animated story. But unfortunately, while there’s some fun performances, there is very little of Burton’s imagination in this film. It’s so by the numbers, it’s hard to believe a visionary director like him could have made this and not just an A.I. machine trained to make a visually updated version of a circus movie. But enough with the negative, lets talk about the good stuff… Danny DeVito is amazing as the circus leader. He is totally ridiculous, a sort of family friendly (but just barely) version of the kind of character he’s played many times over the years (oh how I love him on It’s Always Sunny In Philadelphia). Every time he’s on screen it’s a joy. Michael Keaton is similarly nutty… Going for broke with crazy accents and mugging faces. A real character, equal parts Donald Trump and the WWE’s Vince McMahon. Colin Farrell is good as always and Eva Green does her Eva Green thing well. And it’s all anchored by a great Danny Elfman circus score. So it’s a shame that the same can’t be said for the story or the visuals (save for the undeniably impressive Dumbo himself). But if you’ve got kids, they probably won’t be too worried about the story and you might shed a tear or two along the way. 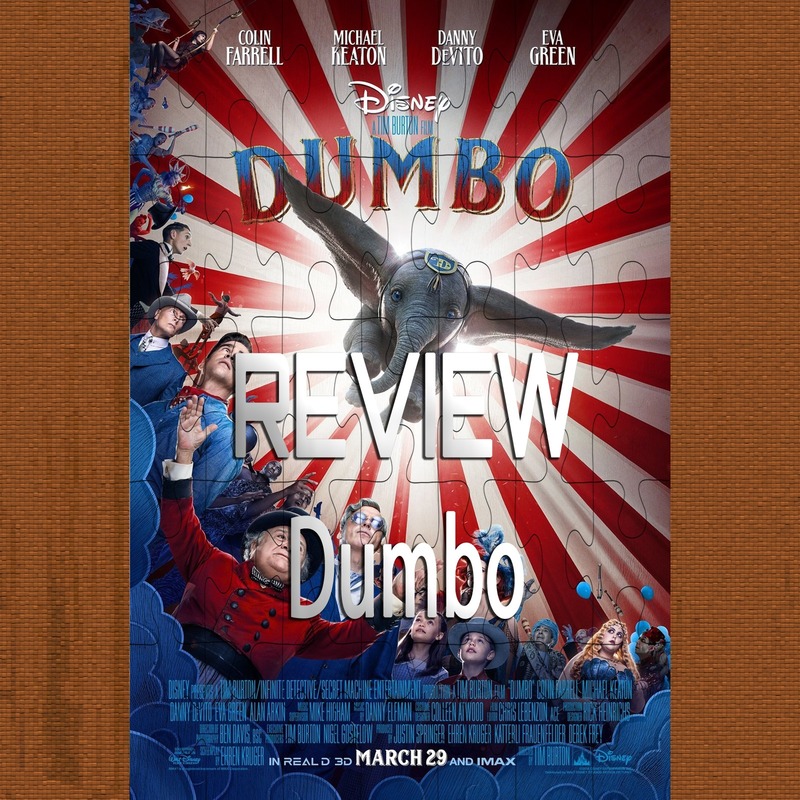 Plus Dumbo is super cute… And if nothing else, you get to see Danny DeVito fight with a monkey that’s locked itself in his desk drawer.